Decoration Day, what we now call Memorial Day, originated in the years just after the American Civil War. In 1966, just after the Centennial, President Johnson and Congress pronounced somewhat dubiously that Waterloo, New York was the locale where Decoration Day had begun in 1866. In all likelihood it didn’t happen that way; citizens were showing up independently at local cemeteries throughout the North and South in that first full spring after the war’s end. Tending flowers on graves was timed with the planting season. Still, we do know that two years later John Logan, leader of the Grand Army of the Republic, called for all G.A.R. members to reserve 30 May 30 1868 as the official Decoration Day for members of the organization. This imprimatur added to the institutionalization of Decoration/Memorial Day. I say all this because it did not occur to me until yesterday that this made Decoration Day 1917 the 50th such observation. And yes, that means 2017 is the 150th. It is unclear if local, state, and federal leaders understood all this in May 1917 but, however coincidentally, it worked out well for the Great War effort. While Governor Whitman was reviewing troops with J. Franklin Bell uptown on 30 May 30 1917, Mayor John Purroy Mitchel was in Union Square christening the U.S.S. Recruit. The ship was just that, a scaled-down mock-up of a battleship built to promote recruiting for the Navy. Mayor Mitchel had long been a proponent of Preparedness and as such was an ally of Theodore Roosevelt, Leonard Wood, and Governor Whitman. Mitchel built the Recruit under the auspices of his Committee on National Defense. Decoration Day 1917 appears to have been something of a tag team affair, with Governor Whitman and General Bell reviewing the Army and National Guard troops uptown while the mayor focused on the Navy farther south. To be sure there was some Navy and Marine involvement in the uptown parade, but it was primarily an Army and Guard event. New York’s ports were more important to the local economy than they are today–and the Brooklyn Navy Yard was still going strong–but the Navy was nonetheless small and removed from the daily lives of New Yorkers. Hence the idea for the Recruit. Remember, there was no television let alone internet in this era. To see what Navy personnel did–and how you might contribute yourself–the mayor and his allies figured a living model might be helpful. One could buy Liberty Bonds there as well. Here are a few images from that event one hundred years ago today. Originally the City Hall of the independent municipality of Brooklyn, Borough Hall was where the Brooklyn Section of Mayor Mitchel’s Committee on National Defense appointed Dykman to be chair on 17 April 1917. 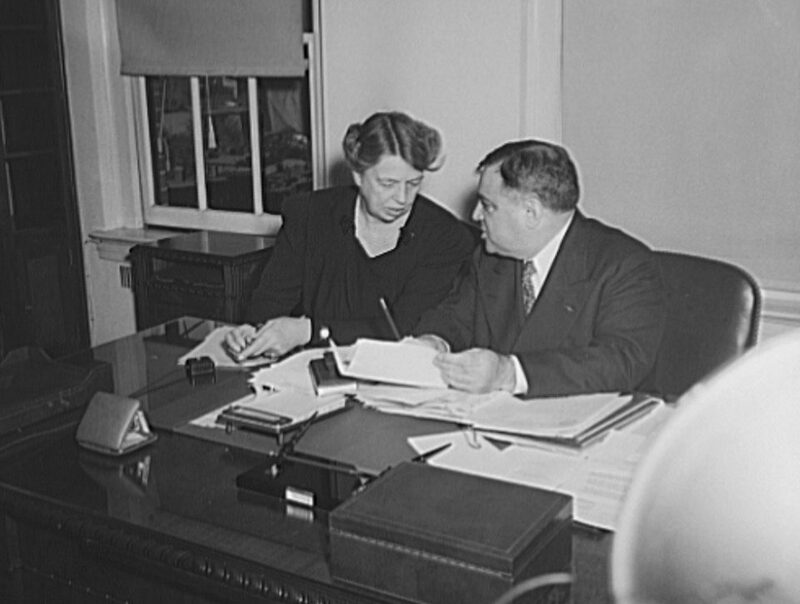 The wider commiitee held its meetings at the Manhattan Municipal Building. Colonel William N. Dykman was appointed chairman of the executive committee for the Brooklyn Section of Mayor John Purroy Mitchel’s Committee on National Defense one hundred years ago today. The meeting of two dozen committee members met at Brooklyn’s Borough Hall, though oddly enough Dykman himself was not in attendance. That his colleagues would appoint him in absentia leads one to think he had agreed to take the post in advance. Mayor Mitchel’s National Defense Committee dated back to November 1915, when pacifist sentiment was strong in the United States. Cleveland H. Dodge, Elihu, Root, and Al Smith were just some of the prominent New Yorkers involved in the Mayor’s Committee on National Defense (MCND). The mayor’s group was an offshoot of Governors Charles S. Whitman’s New York State Committee on National Defense, which had been formed in late October 1915. The now aged Joseph H. Choate brought the statewide principals together at a meeting a few weeks later to see about creating a committee specific to New York City. The Mayor’s Committee on National Defense advocated for preparedness in the 1 1/2 year lead-up to American involvement in the First World War. Lest one forget however, the United States had been involved in another expedition in the meanwhile; from March 1916 to February 1917 a Regular Army force of 15,000 supported by at least 100,000 National Guardsmen were engaged on the Mexican border. Of the National Guard troops, about 10,000 were from the Empire State. The Mayor’s Committee was determined to learn from the mistakes of the Mexican Punitive Expedition. One way it did this was by conducting a survey of the Guardsmen’s experience. This included questionnaires asking the troops what most frustrated them during their deployment to Texas, as well as a study of the Guardsmen’s civilian employers. The Committee was interested in such things as if the men received civilian pay when called to active service, if their jobs were held for them, and the disposition of civilian employers to losing workers to the call-up. Dykman had been active in all of these endeavors and was eager to put this knowledge to practical use in what would be the significantly larger task of training and equipping men to join the fight in France. George True Blood, seen here on Governors Island later in 1917 after his promotion to brigadier general, was responsible fro the tens of thousands of applications pouring in to the Eastern Department that winter just before America joined the war. Things had changed a great deal since the first camps in 1913; as pf summer 1917 the civilian camps were to officially be under the auspices of the Army. This had a number of implications. For one thing in previous years the men had paid their own way, which explains why most Plattsburg men came from upper class families, usually from the Northeast where interventionist sentiment was stronger than in the South and West. The Army would pay for uniforms, food, arms, and travel expenses. The duty of processing the letters of interest fell to Leonard Wood and his staff at the department of the East on Governors Island. He tasked his chief of staff Colonel George True Bartlett to take care of it. Theodore Roosevelt was watching it all closely and was never happier than when he heard that his eighteen-year-old nephew, William Sheffield Cowles Jr., his sister Anna’s only son, was intending to attend. As it turned out, neither Cowles nor the other 60,000 boys and men attended the civilian training camps that winter. When war indeed came, the Army prioritized the camps at Plattsburg and elsewhere exclusively for military use alone. Civilian Plattsburg participants march on the Governors Island parade ground with broomsticks, winter 1917. It is unclear from the original Brooklyn Daily Eagle caption if this image was taken the day Colonel Roosevelt turned out at Governors Island on 17 February 1917. Over the past century and a half many American presidents have visited Governors Island either before, during or after their administrations. Theodore Roosevelt visited one hundred years ago. His purpose was to meet the Commander of the Department of the East Major General Leonard Wood. Wood of course had been helping with the organization of the Plattsburg Preparedness camps that had taken place in Upstate New York over the previous few summers. With unrestricted German submarine now again a reality Preparedness was taking on increasing urgency. And so on the afternoon of Saturday 17 February 1917 Theodore and Theodore Roosevelt took the ten-minute ferry from Lower Manhattan. Roosevelt’s appearance was quite public; the former commander-in-chief received not one but two twenty-one gun salutes. The Roosevelts had lunch with Wood and other dignitaries and watched a group of forty Plattsburg men, whom Roosevelt referred to as “rookies,” drill. The Plattsburgers apparently had been drilling most Saturdays for some time. One of the most striking things about the drill to Roosevelt was that the men had no rifles; instead they carried broomsticks as they marched. Not one to mince words, especially when given a chance to take a shot at Woodrow Wilson, Roosevelt had something to say on the matter for the assembled journalists, averring that he was “filled with wonder and shame that a great people like ours should be in such a state of unpreparedness” as the country headed toward war. On a happier note enjoy your Presidents Day Weekend, everyone.